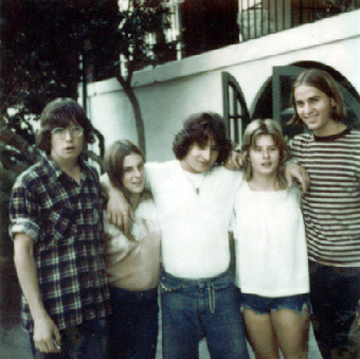 Students in front of the Grill in 1975. L to R: ?, Robin Bublick, Jeff 'the man' Katz, Beth Williams, Ricky Cope. Nice cutoffs, Beth! Photo sent in by Art Copeland, class of 1976.